The release of 'Unite The Clans' couldn't have come at a more important time. 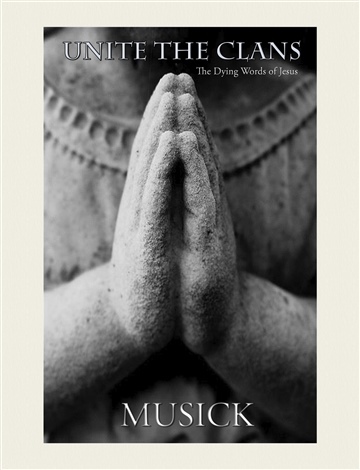 With growing tensions world-wide and racial divides high in the U.S., Musick takes on an often overlooked passage of scripture and from there challenges the Church to become the solution the world needs. Somewhat autobiographical on Musick's early work with colleges and Churches in and around Chicago, IL, the author reveals his passion to see God's Church as a whole accomplish her God given purpose; The Great Commission. This book is a wonderful read for small groups, pastors, lay leaders, and all believers who want to dig deeper into what it means to be a part of God's Family and learn how to work together to reach the world around them. Mike Musick grew up in Columbus OH. He is the proud Father of 5 Daughters. Mike attended Northwestern Univeristy where he got his Bachelor of Arts in Music. He loves hiking, fishing, motorcycles, and anything adventurous! Mike currently resides in Nashville, TN where he is a music producer and writer. Mike has led worship in Churches throughout the United States and was the lead singer of the Christian Rock Band Roads To Rome. Currently he is a member of the Revival worship band Target The Sky.